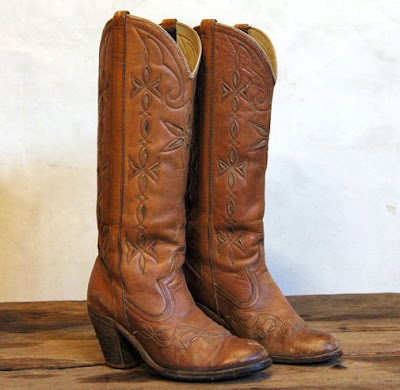 A Texan like me desperately needs those! My favorite item is the Victorian Clutch - Vintage Victorian Leather Handbag. Beautiful vintage giveaway. I so love this handbag. This to me..is the prize of 86 vintage. Amazing handbag. Such detail. Very cool giveaway. Love the handbag! I like 86 Vintage on Facebook. I like the Mosaic - Vintage 70s Bracelet. This would be a great 30th bday gift! The Dingo Floral high heel boots are super cool. So is the vintage 50s dress. I follow you on twitter at tinatre01. It looks so pretty but expensive! oooh sorry - my twitter account is: @allisterbee!! I love the bag you highlighted, I've been looking for a great vintage tooled bag to add to my wardrobe, and this one is fab! Have a wonderful weekend Erika! Awesome giveaway! Thanks so much for the giveaway! 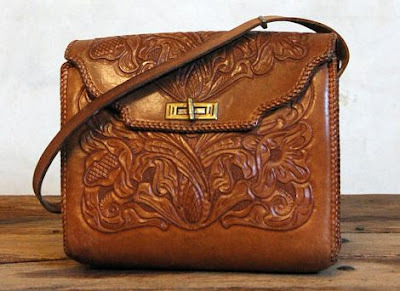 I love the Garden - Vintage 60s Tooled Leather Handbag on the Vintage86 website. Love the 1920's tooled bag - amazing! I adore the Blue Delilah necklace. Great piece. I'm kind of in love with the 70s Vintage Wool Overcoat! I follow you via GFC, too! The vintage 50's dress is beautiful!! I really love the shop, so cute! This handbag would sure be a prize to have from this giveaway! I heart the Vintage 70s Peasant Blouse // Gilded Blossoms. Huggedy hugs to you Sweets! I love, love, love that Wrangler vintage denim shirt. Cute!! What a great shop! There are so many great things, but I love the Vintage Christian Dior 80's Red Sweater! I follow you on twitter (@browniesandbows)! I follow 86 Vintage on twitter! I'm alrealdy a follower of yours, of course! This. OMG. I cannot get enough bling. I like the 1960s Italian Glass Vase. Such gorgeous colors! I love this Snake Skin handbag! I remember I used to buy them back in the 80's!